Is it necessary to step away from being incorporated as a religious organization in order to gain the favor and approval of your community? When and where does a Statement of Faith come into play? Will women come to you for pregnancy confirmation if it is known your clinic is faith-based? These questions warrant good discussions and are important for ALL team members to understand. Where would an organization be, a PMC be, if those ultimately responsible are not solid in understanding the medical, legal, and spiritual implications tied to healthcare? Having lived through Accreditation, I see faith and how it plays out within your PMC as an important subject to consider. If you have followed recent Supreme Court decisions, you may be concerned about how your PMC’s faith-based principles might come under attack. You may wonder if stepping away from being incorporated as a religious organization is a good idea. If your center is established in your Articles of Incorporation as religious, this offers protection for your PMC, allowing you to operate both internally and outwardly to the public with faith-based principles. Some in the PMC movement have made decisions to step away from their Statement of Faith entirely, with careful consideration and prayer, in order to gain the confidence of patients and their local community. Yet this very statement will help insure your staff, volunteers, and board members align with the faith principles God has called us to live. And for the women we serve? Each one should be given opportunity to consider her own belief system, especially when making pregnancy decisions. Having solid policies about faith and Christian principles will help protect your PMC. Alliance Defending Freedom has made these recommendations available on their website. Will women come to you if they know you are faith-based? There are many free and charitable clinics and hospitals throughout our nation that are faith-based. Being faith-based doesn’t mean you are pushing women towards a Gospel message they may not want to hear. It does, however, mean you are considering the spiritual aspect of health care when it comes to meeting the needs of each patient. You also have more freedom to share when the Holy Spirit leads you to step out in faith. As an Executive Director, it is important to help lead your PMC through these questions and decide what is best for your organization. 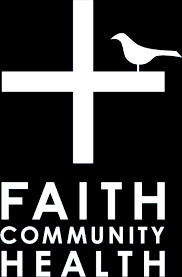 Ask the board and your staff for their thoughts on what it means to be a faith-based PMC. Review your Articles of Incorporation and know if you are identifying as a religious organization. Review your Statement of Faith and policies further defining what this means, and consider how this plays out with your patients. When thinking about mainstreaming a PMC, it is important to consider the spiritual health of each patient as part of health care. It is also good practice as the Executive Director to ask the questions above and to have confidence in faith in how it plays out within your organization.